Written for Mr. Tommy Bensberg on his 90th birthday. When I got my first job as a band director in Harmony Grove Mr. and Mrs. Bensberg were some of my best supporters. I used to enjoy visiting their store in Camden, Arkansas, and am now amazed when I think of the time Mr. Bensberg would take to visit with a young upstart music teacher like me. I already had a lot of respect for the Bensberg name because of my friendship with several Camden musicians during high school including David Garrison, Sherry Benton, Martha Jane Smith, Bruce Belin, and Danny Tate. We formed a little band called Spirit Wind. All of the voices were trained by Mrs. Bensberg and they could sing! While teaching at Harmony Grove I got the idea that I wanted to learn to play the bass guitar. I rented one from Mr. Bensberg for about three months and then brought it back, realizing that I didn’t have the desire necessary to practice that instrument and learn how to teach band, too! Toward the end of that year at Harmony Grove I had the good judgment to ask Becca O’Neal to marry me. She had come up through the Warren Band and Choir programs under Mary Lou and Curry Martin. I got the idea of getting Becca a piano as a wedding gift and called Mary Lou Martin for advice. I then went straight to Bensberg’s Music Store. Once I settled on a piano, I asked if my bass guitar rental might be applied toward the purchase and Mr. Bensberg kindly said he could do that. The piano was delivered to my mobile home in Harmony Grove. I’m amazed that the truck didn’t sink in that Ouachita River-bottom soil out there. Needless to say, that piano was the classiest thing on the property. I covered it with a quilt and presented it to Becca before our wedding. I think she was surprised to see a brand new piano when I removed the quilt. 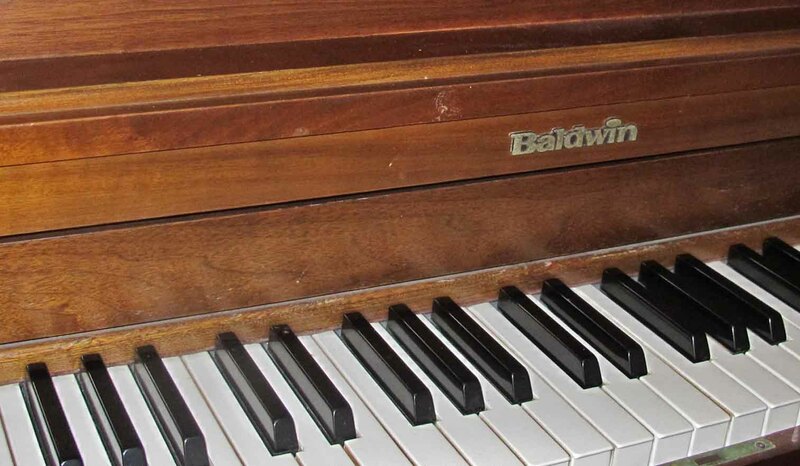 We still have that Baldwin upright piano and consider it a family treasure. Happy 90th Birthday Mr. Bensberg! Thank you for your years of service to the musicians and families of south Arkansas and thank you for being an encouraging friend to this young music teacher as he began his teaching career. Our piano from Bensberg’s Music after 34 years. 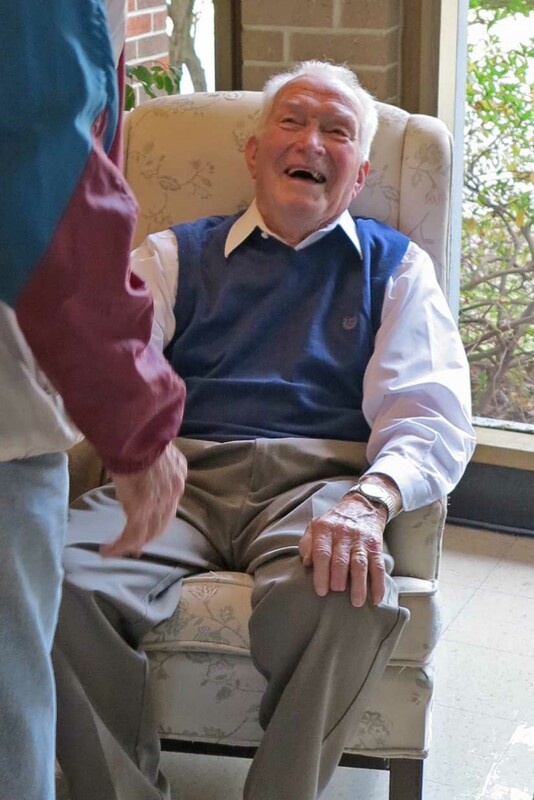 Tom Bensberg greeting visitors at his 90th Birthday celebration. By ozarkmountainhiker in Uncategorized on October 31, 2013 .